As cooler temperatures move in, staying warm becomes a priority for the modern gentleman on the go. Staying cozy, functional and effortlessly sharp? 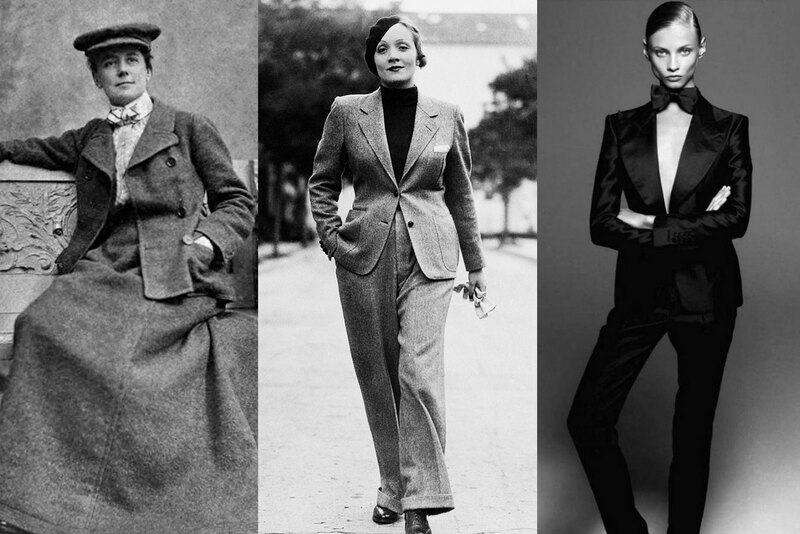 It sounds like a tall order, but it doesn’t have to be if you know what your way around dress coat styles. Maybe you picture yourself jetting around the snow-covered city in a timeless, naval-inspired pea coat. 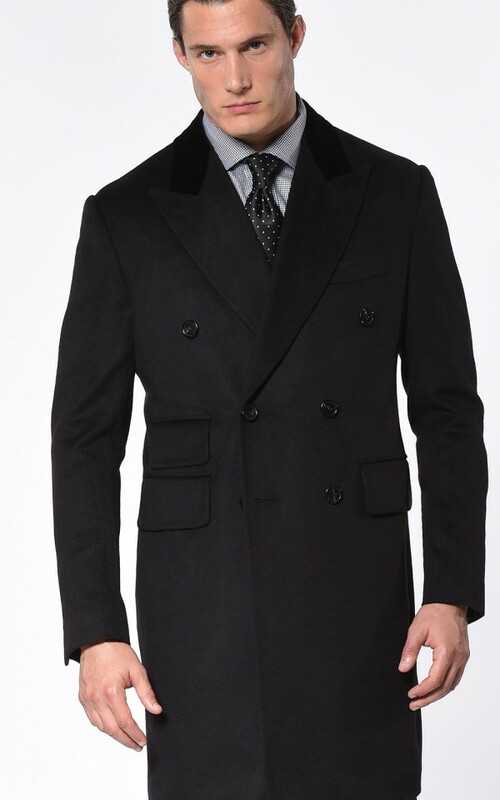 Maybe you’re a sartorial shaker-upper with your eye on a well cut chesterfield coat with luxurious velvet collar. 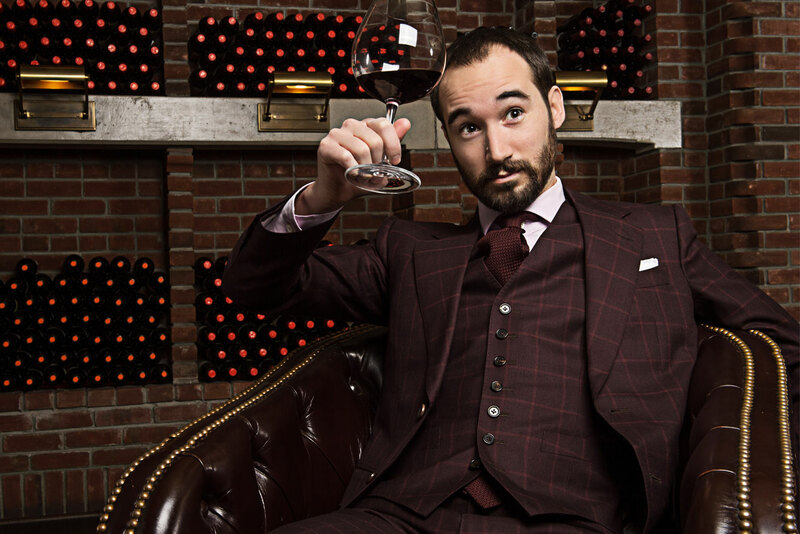 Whatever your vibe, let Michael Andrews Bespoke help you evaluate your options with a helpful primer on long dress coat styles for the modern gentleman. 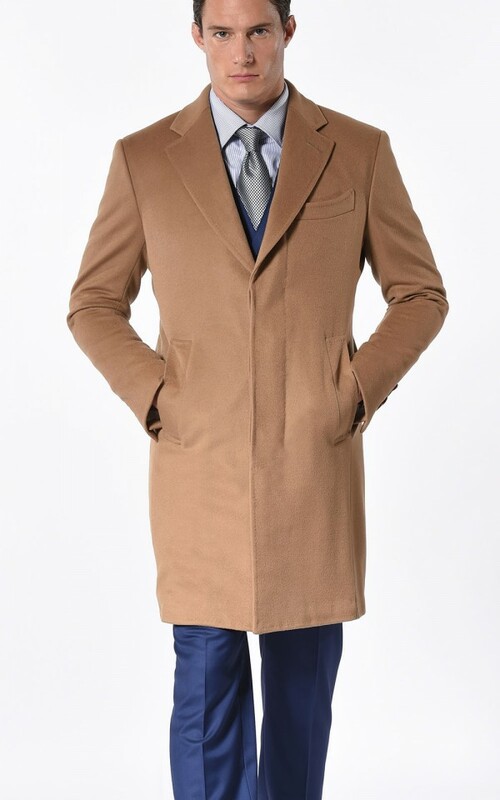 A type of “outercoat” – meaning it’s meant to be worn as an outermost garment – an overcoat is a dress coat style usually worn during fall and winter months. It’s characterized by a longer cut that falls below the knee and is usually made from high-quality wool designed to combat cold weather. 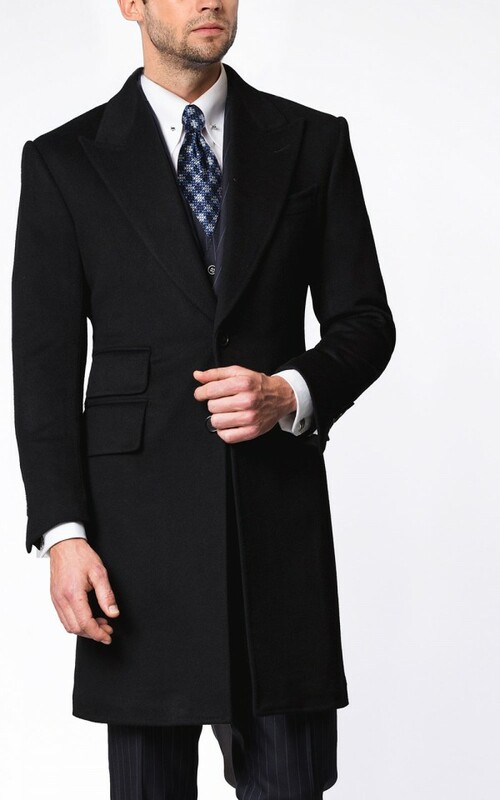 As it’s designed to be worn over a suit, a modern overcoat boasts a slightly larger fit than a suit coat. 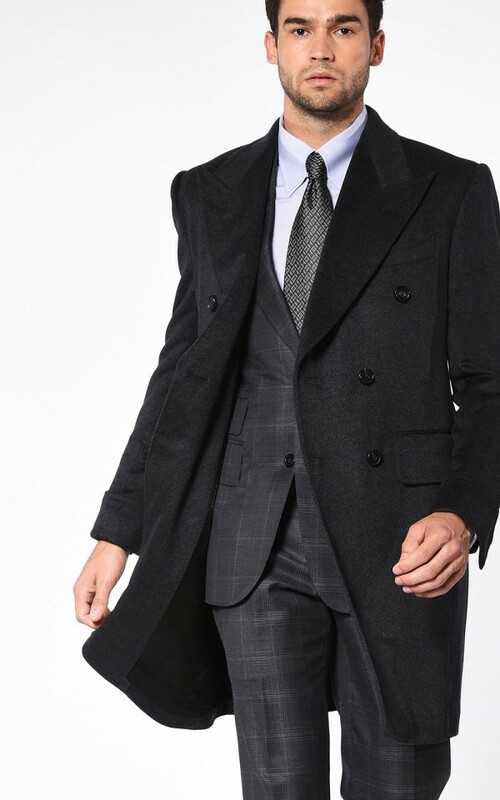 Overcoats tend to be simple in their design, with little to no flashy details. 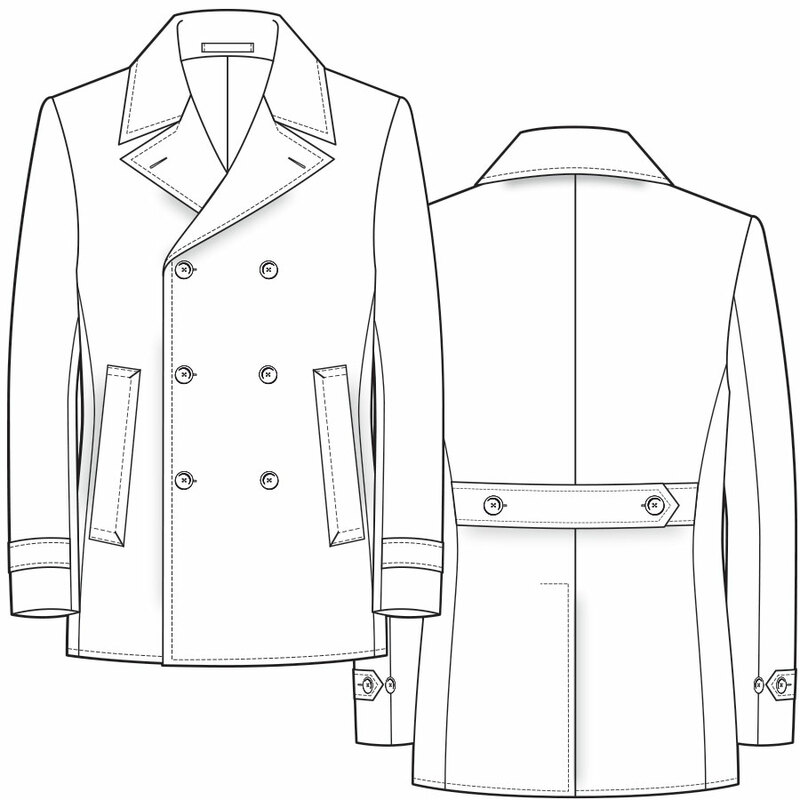 Classic features include notch lapels, a single vent and either straight flap pockets or diagonal “welted” pockets. Both single-breasted and double-breasted styles are acceptable, with the latter unfortunately being somewhat less common in the marketplace. A topcoat is a similar option, though typically cut shorter, ending at or above the knee (also referred to as a three-quarter length coat). 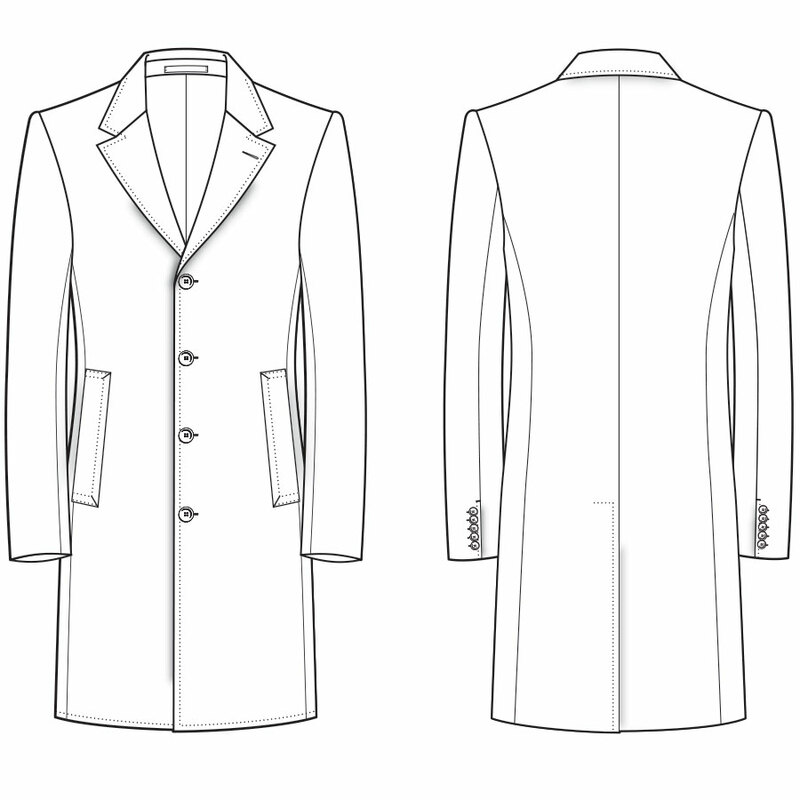 While overcoats are made using heavier cloth, topcoats can feature lighter-weight fabrics such as gabardine. 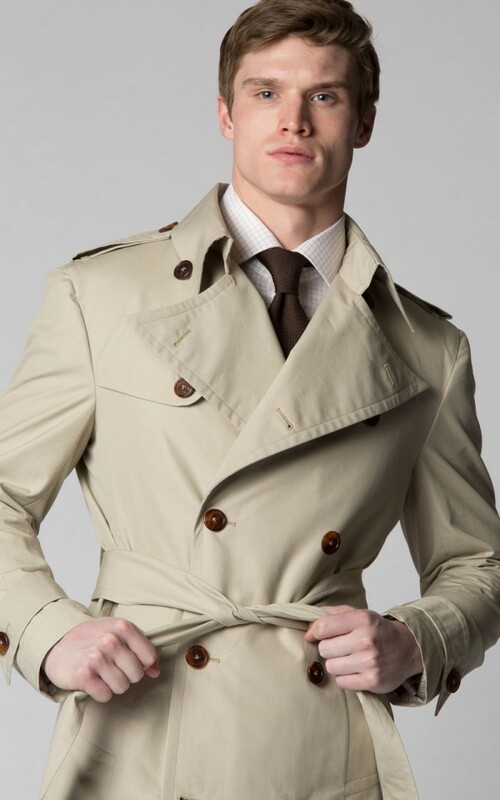 Designed for soldiers in the trenches during World War I, the trench coat has become the the signature of the well prepared gentleman. 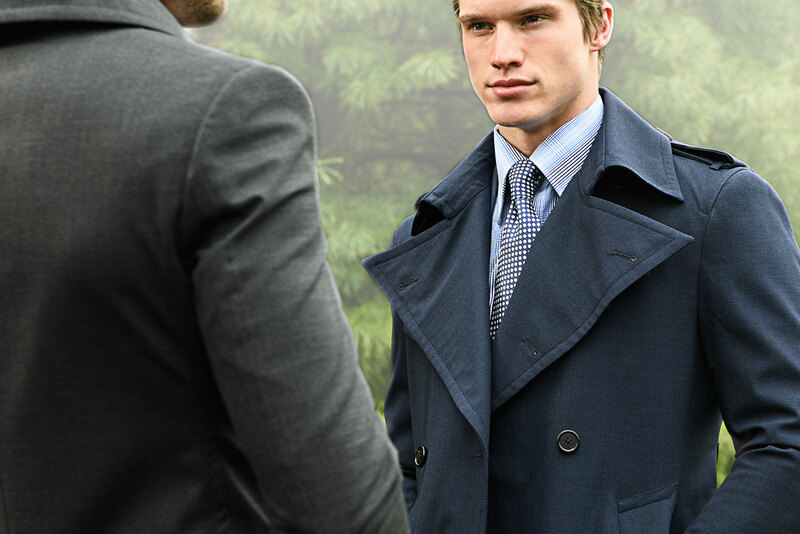 What better way to enter the trenches of every day life than with a coat created for all weather protection. 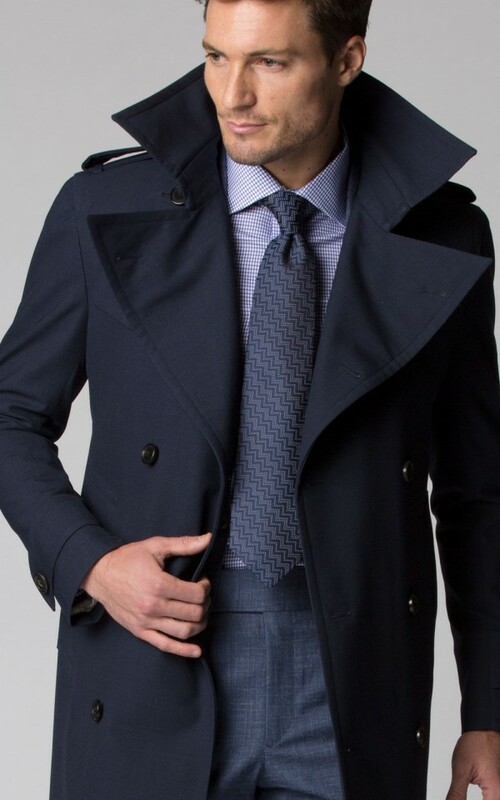 With a larger collar, rear rain flap, and a double breasted closure, trench coats are a great way of staying dry while maintaining a certain level of elegance. Trench coats are also know for their signature belted waist highlighting your natural silhouette. The shoulder epaulettes are a trait carried over from the war. These buttoned should flaps were fastened around soilder’s bag straps so they could maneuver without losing their supplies. 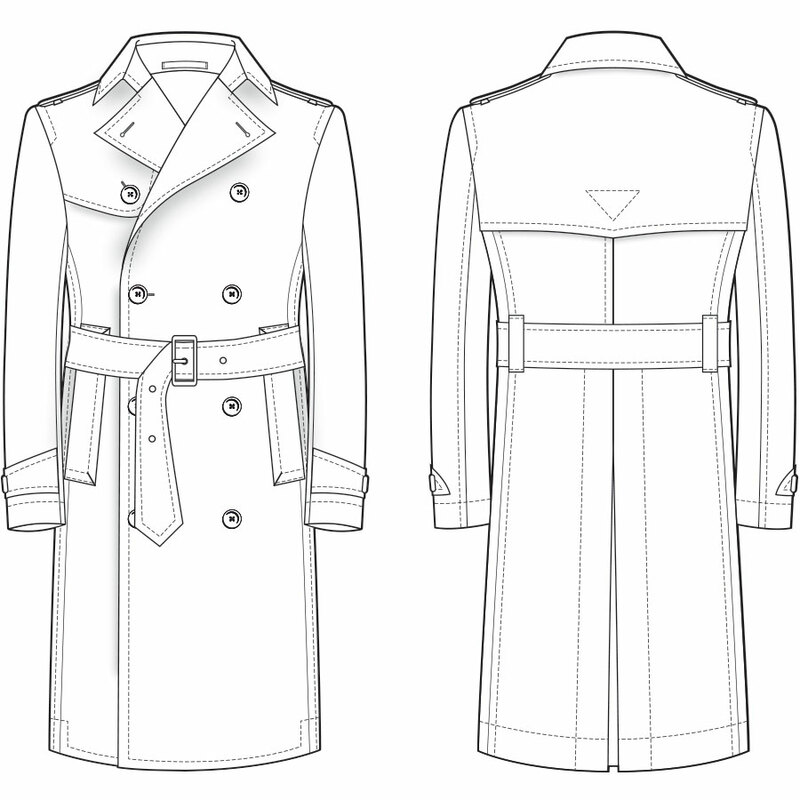 For a more information on the trench coat, see “A Brief History of the Trench Coat” here. When it comes to dress coat styles, there’s something so retro-sounding about the term “car coat,” bringing to mind a crisp fall day and an open-top Cadillac winding its way through country roads lined with amber foliage. A car coat – sometimes called a driving coat – did indeed originate as a garment designed to keep drivers warm as they tooled around in vintage cars, yet it’s persisted among the modern menswear market for its stylish, minimalist vibe and utilitarian touch. It features an A-line cut and wide cuffs – traditionally to allow a full-range of motion while driving– and is usually made from heavy wool. A subtle front placket covers the buttons, which keeps wind and rain out of the fastenings and contributes to its minimalist look. 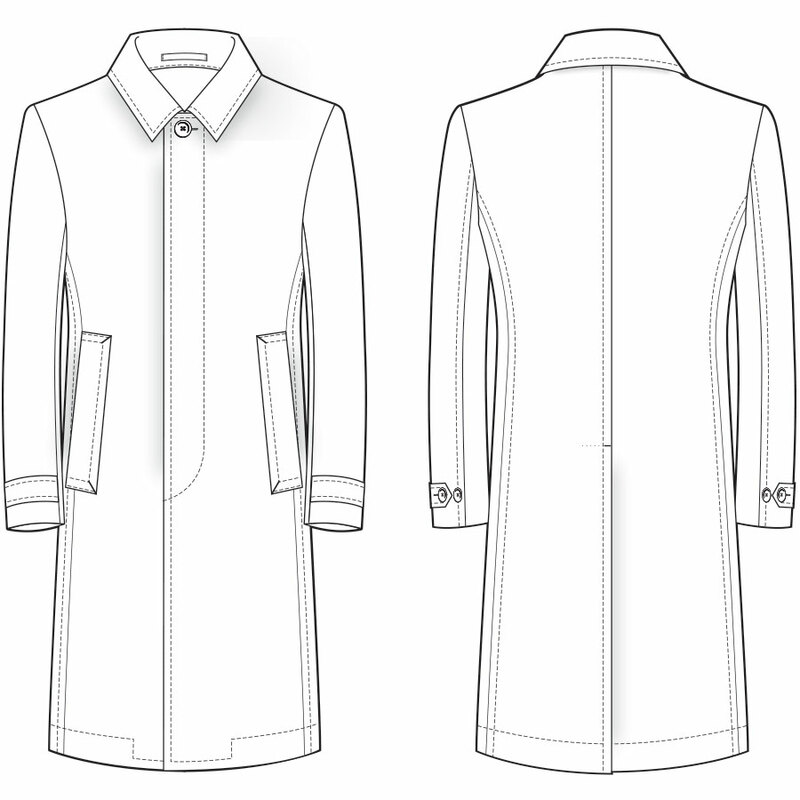 The car coat usually hits mid-thigh and features a straight collar and diagonal welt pockets. Despite its distinctly vintage roots, the driving coat is equally at place in hip urban settings, whether over a suit as you dash from the office to an after-work aperitif or over jeans and a sweater as you run errands on a chilly Saturday morning. Do pea coats innately make you think of sailors bracing against the cold spray of the open sea? That’s because, despite being one of the most versatile coat options, the pea coat was indeed popularized by the navy and its nautical heritage can still be seen in the tiny anchors that are typically engraved onto the front buttons. Timeless, warm and effortlessly stylish, the pea coat features a smart, double-breasted closure with a wide, notched lapels and collar. It’s typically designed to hit mid-thigh and can be made with a range of material from heavier wools to softer blends. Traditionally black, navy or charcoal, the modern pea coat looks sharp in almost any shade, including camel and olive. It’s also one of those freakishly versatile pieces, as its’ fitted style and smart details are equally at home atop corporate wear as they are over casual attire. Laid-back sophistication is the name of the game with this cool-weather option and we can’t get enough of it. If you only invest in one of the dress coat styles, make it a pea coat. 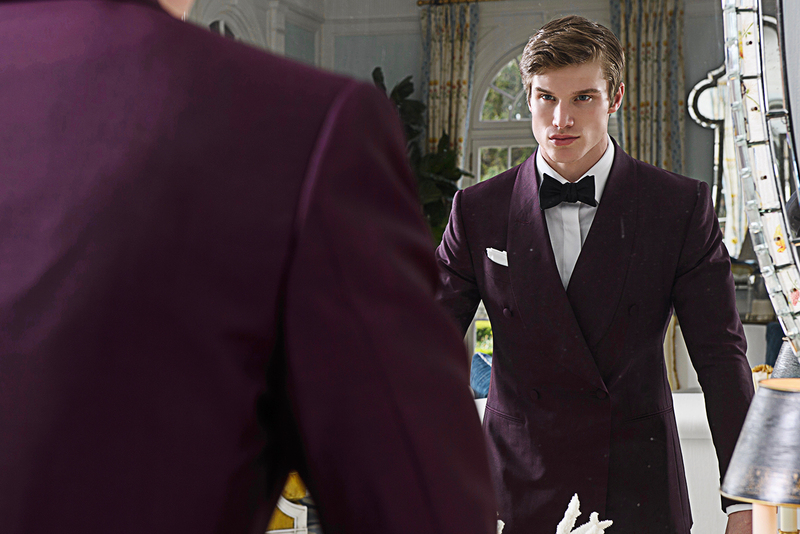 Michael Andrews Bespoke is New York’s premier destination for bespoke dress coat styles. Schedule an appointment with at our New York studio to design the perfect overcoat and outerwear for the fall and winter seasons.